After years of being confused, Hermione Granger has had enough of her emotions wasted on Ron Weasley. After being kidnapped, she finds that her true feelings are for Draco Malfoy. Drama spices throughout the trio until Draco looses his memory of all his feelings for Hermione. Through the years, the lovebirds suffer from loss, pain, and even murder. Find out what happens in The King of Hearts. Hermione Granger though that Draco Malfoy was gone from her life for good, but when she has to plan his wedding, feelings change. will she be able to get over past failures and move on to new love? will she let hatred get in the way of professionalism? What will happen when new feelings start to arise but draco is engaged to be married? The Wizarding War is over. Voldemort is dead. The Wizarding World is now peaceful. Wizards and Witches are still reminiscing about the past. Hermione Granger and the rest of her batch are returning for their final year and there she meets Draco Malfoy, again. Friendships are made. Attraction starts to grow. Jealousy takes place. No one would possibly think that the "Brightest Witch Of The Age" can make the "Slytherin Badboy" fall, seriously. But what if betrayals are done? Trust has been broken. Reputation is destroyed. Rejection will follow. A child will be born. Two years have passed by so easily  then suddenly, he came back saying it was all fictitious. Asks for marriage but leaving her again. True love is hard to find as others may say. Problems are coming. Surprises are waiting. Temptations will be faced. But only few can stand after thousands of trials that has been remedied and all questions that has been answered. Will it still be . . . Hermione Malfoy?! After the war all of the previous 7th years are invited back to finish their year and take their N.E.W.T.s. When they all return some people have changed for good or bad. Ron and Hermione are still a couple but she feels that he is pushing her away. Ginny and Harry are still going strong. What will happen when they return for their final year? My apologies but this is my first fanfiction and I wrote it when I was 13-please note that the romance moves quickly as I needed to speed up the story to get to the better stuff :)Completed (Also there are 2 blurbs) Draco Malfoy- A boy who wants to move on from his disgraceful past. Hermione Granger- the brightest witch of her age... But what happens when Draco starts to think she's the most beautiful witch of her age... And What about when Hermione start to recuperate his feelings? Will they make it?And what happens when Draco's past comes back for him... Especially when a mysterious girl from his past comes back as well! -THIS SYNOPSIS IS WRITTEN BY @MYFRIENDTOLDME-Love this girl!!!!!! After the dreadful war is over, the know-it-all Gryffindor princess returns to Hogwarts. But what she didn't know was that she was to be forced to live with her archenemy, the slytherin pride Draco Malfoy. No one was prepared as the sudden emotional and hormonal bursts result in feelings to develop between the two. But can this relationship survive when Draco's past keeps charging back at him? Can their love survive the again dark and problematic wizarding world? -THIS SYNOPSIS IS WRITTEN BY POTTERLOVE!!!!! THANK YOU SOOO MUCH!!! She heard the familiar voice before she saw him. Strangely enough, after all this time the low tone was capable of causing her heart to flutter. "We still have sun above the beach. Let's finish the scene before we pack up tonight." It was then she saw him. walking along the rise of the path from the beach, with people hurrying to keep up with his sharp strides. She was watching him in awe at how the young man she once knew had grown into every woman's dream. his platinum blonde hair, as messy as it was back then, and his almost bare feet, she remembered with a smile how much he disliked the idea of footwear and usually wore the lightest possible foot wear allowed. The war is over. Everyone has to retake the previous year at Hogwarts. Hermione Granger is made Head Girl and Draco Malfoy is made Head Boy. Tensions rise between the two. Ron starts acting very different, which takes it's toil on Hermione and Ron's relationship. What could be causing his sudden attitude change? And will things start to darken when Lucius Malfoy gets involved? What will he do? Can Draco and Hermione find happiness together or is it just not meant to be? Hermione sat alone in the room. Gone, she thought. Everything was calm for the first two years after the war, but sitting here five years later, they were gone. First they were gone and Now he is gone. Hermione sat alone planning her next course of action. 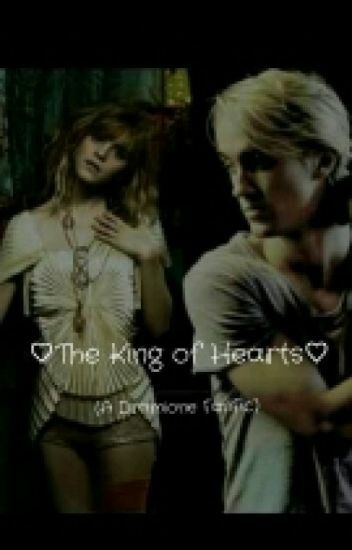 (This is a Dramione story with twists and turns. This story takes place two years and five years after the war, and will go back and forth between the past and present). The second book, Conquer the Night will be written here as well. I am editing the book slowly (2015). I have written all of Fresh Start and will put up parts periodically and Becoming Me will showcase more of my writing skills apart from Fanfiction. Please read and recommend them! I hope the stories can be successful here as well as Quotev. So please do read and recommend this story to your fellow friends and Wattpaders! And of course, hit VOTE, COMMENT AND FOLLOW. Thank you guys! All characters and places in this story are created by J.K Rowling. This story is fan fiction based on Harry Potter and the Half blood Prince. Love was a very strong theme in the movie and book. Will Draco show Hermione his feeling and will Hermione admit her feelings? Find out by reading the book. Or will they stay quite and not admit there feelings? Did Draco change his life forever? Or will there still be arrogance? How did Draco's life change and why? Why is Hermione turning agianst her two best friends? Where does Hermione go at night when everyone is sleeping? Draco and hermione have been enemies for all their lives, but can things change when they are head boy and head girl. What about Ron? The second book in an ongoing trilogy. Starting with Our Corridor, this book, Our Life, and the last book Our Legacy. The continuation of Hermione and Draco after the wedding and what their life would be like.